• PLOT SUMMARY: The Spark and the Flame: Part 1 - "The Price We Pay!" - The star of JUSTICE LEAGUE DARK is unleashed in his all-new ongoing series! 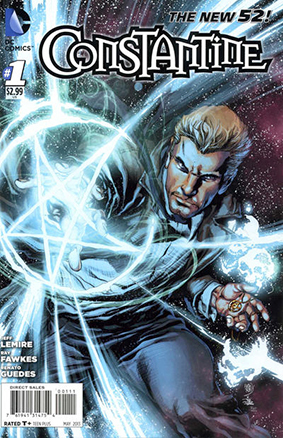 Liar, cheater, manipulator... John Constantine is all of these, and yet he uses these skills and more to protect the world from the darkest corners of the DC Universe. What Constantine learns in this first issue will shake the very foundations of the New 52...and only he knows how to deal with it! (W) Ray Fawkes, Jeff Lemire. (A) Renato Guedes. Cover is by Ivan Reis and Joe Prado.